Anvil Semiconductors has secured a production source for its proprietary 3C-SiC on silicon epiwafers with commercial SiC wafer and epitaxy supplier Norstel AB. Anvil's novel process for the growth of device quality 3C-SiC epilayers on silicon wafers has been successfully transferred onto production reactors at Norstel's facilities in Norrkoping, Sweden. Layers grown using Anvil's patented stress control techniques permit both 650V and 1200V devices to be realised. Anvil is currently developing vertical SBDs and MOSFETs on its 3C-SiC on silicon wafers for supply and license to the multi-billion dollar power electronics market. The use of silicon substrates and epitaxial growth of cubic SiC enables fabrication of devices with the performance and efficiency benefits of SiC but at significantly lower material and manufacturing costs, a key target for the power electronics industry. Jill Shaw, CEO of Anvil Semiconductors commented: "I'm delighted with this development. Getting the process onto production equipment at Norstel underlines the capabilities of our technology. It opens the way for the use of multi-wafer reactors for our future production needs and a move to 150mm diameter wafers." Ronald Vogel, CCO of Norstel AB added: "We are delighted that our proven high quality production expertise and capabilities in SiC epitaxy have helped Anvil to demonstrate the viability of their 3C-SiC solution and that Norstel's manufacturing capacity will pave the way for Anvil's volume production". Anvil Semiconductors was established in August 2010 to develop SiC power devices for the power electronics industry. Its technology enables the growth of device quality 3C-SiC epitaxy on 100mm diameter silicon wafers to thicknesses that permit the fabrication of vertical power devices. The proprietary process overcomes mismatches in lattice parameter and thermal coefficient of expansion and can be readily migrated onto 150mm wafers and potentially beyond. 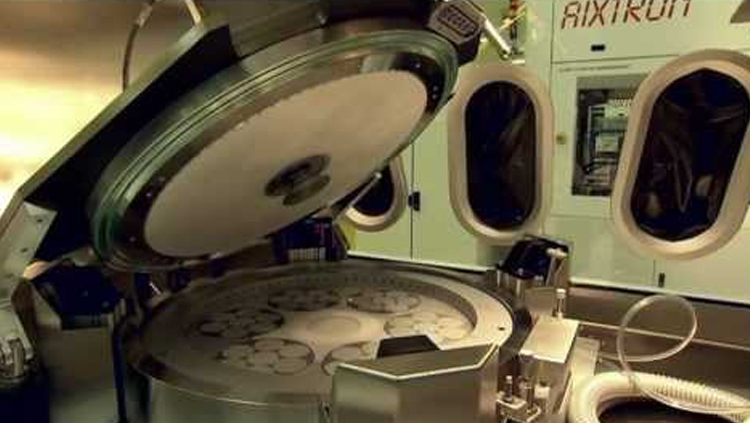 Norstel offers state-of-the-art n-type and semi-insulating SiC substrates and related services for wafer epitaxy, characterization and polishing for high performance semiconductors used in Power and HF Electronics.